We're making good progress on the garage shop at the project house. Drywall is hung, carriage doors are installed and the new front facade has been painted. Here, the doors are still being assembled. 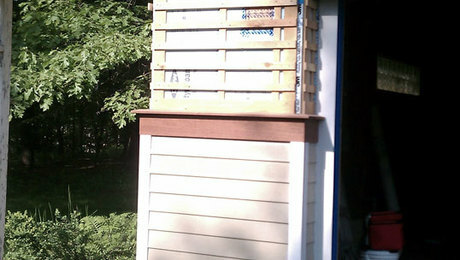 They're now completed and in place, so stay tuned for a full article about their construction and installation. 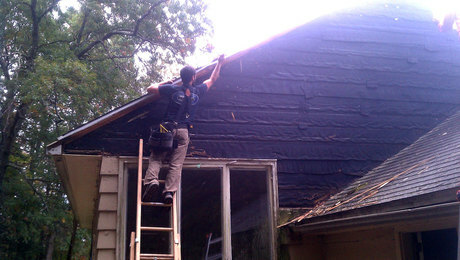 Before shingles were installed. You can see the 2 in. layer of XPS foam and the cross-hatched furring. Would we do this furring detail again? Probably not. 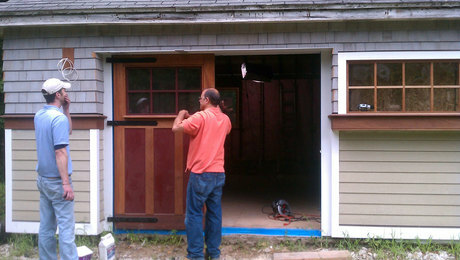 Justin built these carriage doors in the woodshop.